UIC has been recognized for its sustainability efforts with several recent acknowledgements. 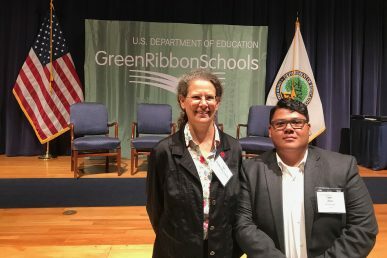 UIC was among 46 schools and districts acknowledged for their efforts to reduce environmental impact and costs, promote better health, and ensure effective environmental education. UIC was one of only six colleges or universities to receive the Postsecondary Sustainability Award. Officials announced the award Sept. 19 at a ceremony at the U.S. Department of Commerce in Washington, D.C.; it is the latest of two sustainability awards UIC has recently earned. Reducing energy use by 26 percent since 2008. Encouraging ridesharing and public transportation initiatives by giving unlimited semester-long transit passes to full-time students and offering a pre-tax transit program for employees. Only 40 percent of commuters to UIC are single drivers, compared with 51 percent in Chicago and 70 percent regionally. An aggressive stormwater diversion plan from sewer systems and a waste diversion rate of 45 percent. 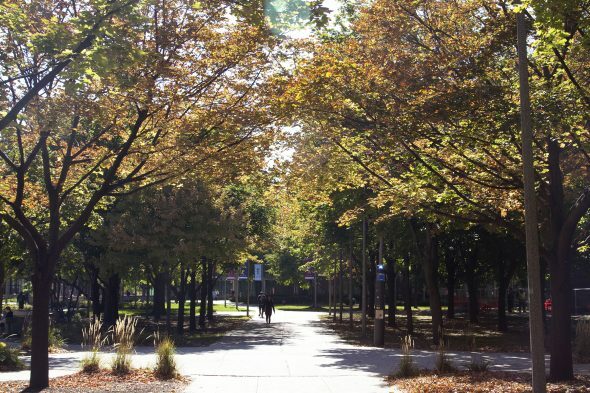 In the areas of health and wellness, UIC offers opportunities such as the Environmental Health and Safety Office to promote a safe working and learning environment, open green spaces, participation in the Chicago bike-share program, educational food gardens and campus recreation centers. Co-curricular educational programs and research in the areas of energy, climate and sustainability. These include the Sustainability and Heritage Garden Internships, the Institute for Environmental Science, UIC Energy Initiative and the Institute for Humanities. UIC’s College of Urban Planning and Policy offers a minor in “Sustainability Cities,” which is open to all undergraduates. The honorees were from a pool of candidates nominated by 25 states and the Department of Defense Department of Education Activity. In addition to this award, UIC also recently earned a STARS Silver rating in recognition of its sustainability achievements. 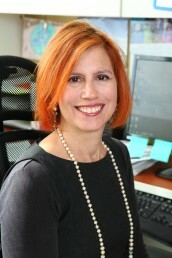 The recognition comes from the Association for the Advancement of Sustainability in Higher Education, or AASHE. The Sustainability Tracking, Assessment & Rating System, or STARS, measures and encourages sustainability in all aspects of higher education. UIC was among the first signatories of the American College & University Presidents’ Climate Commitment in 2007 and among the first to sign the nonprofit Second Nature’s, newly integrated Climate Commitment. In 2016, UIC introduced its climate commitments to be a “Carbon Neutral, Zero Waste, Net Zero Water, and Biodiverse” university. This year, UIC released the Climate Action Implementation Plan identifying the next steps in the university’s efforts to build a stronger sustainable work and living ethic while reducing environmental impact. Unlike other rating or ranking systems, this program is open to all institutions of higher education. Because STARS is a program based on credits earned, it allows for both internal comparisons as well as comparisons with similar institutions. “I am truly grateful to all of our university partners that have made their units even more sustainable since the last STARS report,” Klein-Banai said.